upcycle project Rare design Chest Of Drawers Retro 60s 70s Gorgouse. I intended to up cycle myself but haven’t had time so must go.Condition is Used. Some water stains and peeling veneer. Some drawers are a little stiff just need a bit of wax.collection only cash on collection preferred please. Dresser cupboard side table bamboo wood 45x45x65cm. Material: Mango wood, bamboo. Made of bamboo and mango wood manufactured. The special eye-catcher - great design. Rooms: Living room. Due to the inventory made of wood. Pack of 5 papermania bare basics plain kraft gift large bags with twisted handle in rectangular shaped. White colour. Showcasing a reflective surface, it adds visual space to an interior and brings in light. 3 Drawer Chest. Assembly: Does Not Require Assembly. Rattan furniture, outdoor, lounger, wicker, sun lounger, patio. High gloss Chest of 4 Drawers Bedroom Furniture Cabinet Storage Bedside Drawer. The Black Gloss against the Walnut gives a modern, stylish look to any bedroom. This unit is an essential to any contemporary bedroom. This display case does not have a hanger on the back for hanging but can be applied easily if need be. In very nice condition, not sure who made it or how old it is. The inside cabinet depth is 5" with the door closed and has one stationary shelf have a height of 5 1/2" in between the first shelf and 6" for the second shelf. This Golant rosewood drum chest is the smaller of the two drum chests in the Golant range and features 3 spacious drawers. Crafted from high quality solid sheesham wood it produces a fantastic storage solution whilst adding that classic Indian charm to your room. Suitable for use as a bedside or corner table. The design on the front of each drawer is cut out and so is see through. Inside draw: 15.5x21x14.5cm. Slim Style. 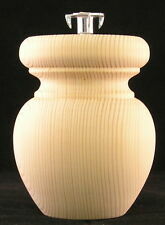 Beautiful long-lasting construction in white smooth finish wood. ALL RIGHT RESERVED. Simply elegant design storage unit with 1 drawer and 2 shelves. HOT CATEGORIES. Made of high quality MDF in white lacquer. Weight: 17kg. Load capacity: 25kg. Detailed instructions supplied. The box is covered with 3 layers of varnish to protect from tears and wears. 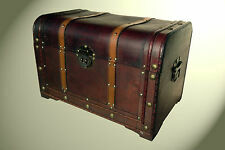 Handmade wooden chest designed and made by using the original `DeCoupage` technique. Limited Edition only a few similar design per size. Rustic White Wash Set of Drawers with Love Heart Finger Pulls. No drawer runners drawers simply slide as they are pulled in and out. Our rustic beach inspired drawer units features natural neutral tones to suit any decor. 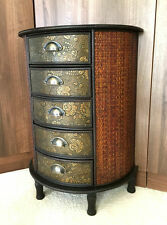 Stunning Chinese Style Dark Wood Drawers. Perfect Size For Any Room In The House. Overall: 63cm H x 38cm W x 21cm D. Drawers Included. Number of Drawers: 12. This may not be suitable as a gift. Can be used in many ways it can be placed in kitchen, bathroom, bedroom. The simplicity of the wood is the live motive of a natural collection. Size drawers: 17 cm x 19 cm. Colour: White, brown, grey. 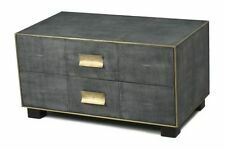 The cabinet is made out of 3/4" material including the drawers. This is a really elegant mirrored chest of drawers featuring 6 drawers with crystal clear knobs and a charming mirrored surface all over the furniture (front, sides, top, legs), that will add more depth and light to any room it's placed in. It has 5 drawers providing plenty of storage space for all your essentials. Solid Fir wood top. Clothes, Shoes & Accessories. Garden & Patio. Soft grey painted finish. Assembly Required H100 x W50 x D38cm. Cabinet slender teak dresser 3 elephants decorated white 47x29x82cm. Product type: Commode / highboard. Material: Teak. You can also use this dresser directly in our Branch in Altbach near Esslingen examine and take with you. 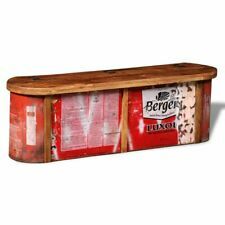 Chest of drawers Cabinet coffee table bamboo wood 35x35x85cm. Material: Mango wood, bamboo. Made of bamboo and mango wood produced. Style: Oriental / Asian. Rooms: Living room. Depth: 35 cm. Due to the inventory made of wood. Perfect for hallways, living rooms, spare rooms, bathrooms and bedrooms. A unique storage solution that assembles in minutes and requires no tools or fixings. Wohnling Sideboard white 60 x 75 cm with 2 doors & 1 drawer, cupboard, buffet NEW. Drawer: 59 x17 cm. Interior drawer: 52 x 23 x 10 cm. Body, shelf and drawer of chipboard. Drawer feeder, Stands & Plastic handles. Measurement: WidthxDepthxHeight (approx) Slim Style Unit: 23x27.8x79cm. Draws: 17.5x23x16cm. Inside draw: 15.5x21x14.5cm. Natural Wooden Floral 4 Drawer Tallboy Chest of Drawers - Belle Range A beautiful tallboy chest of drawers, in a vintage Shabby Chic and French style. Corona 2 2 Drawer Chest in Distressed Waxed Pine. 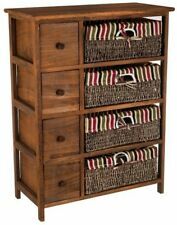 The Corona 2 2 Drawer Chest is a classic rustic styled piece of furniture. We aim to serve you with high quality service and products. Our head office and warehouse is based in Leicestershire.